This SURPRISE! 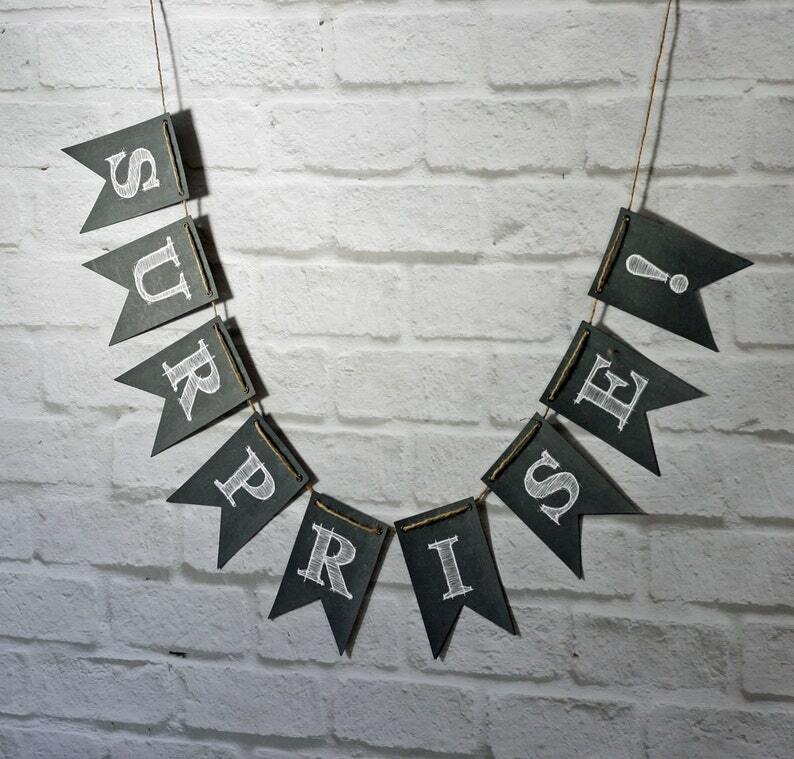 wedding or other event banner/bunting is designed to look like rustic chalkboard. Each industrial style letter flag is printed on heavy cardstock and backed with black cardstock. The string holes are hand set with black grommets giving each flag a finished look. Letter flags are strung on jute cord that measures from 12' end to end, depending on the flag size. Letter spacing is easily adjustable along the jute cord to allow the banner to perfectly fit your space and to allow for securing the banner. Perfect for Rustic or Industrial style weddings / events. each letter flag measures 4" x 6"
Need something special? Have a question? Use the gray "Ask a Question" button on the right side of the screen to contact me directly. Well made and really cute... just what I wanted!